The brilliant colors and precise detailing of our bountiful crop of felt veggies are so realistic, they almost look good enough to eat. A perfect way to teach young children the nutritional values of vegetables while spending quality time creating dazzling visuals. Don't be tempted to take a bite out of these tantalizing fruits and nuts - they are meant for show-and-tell only. 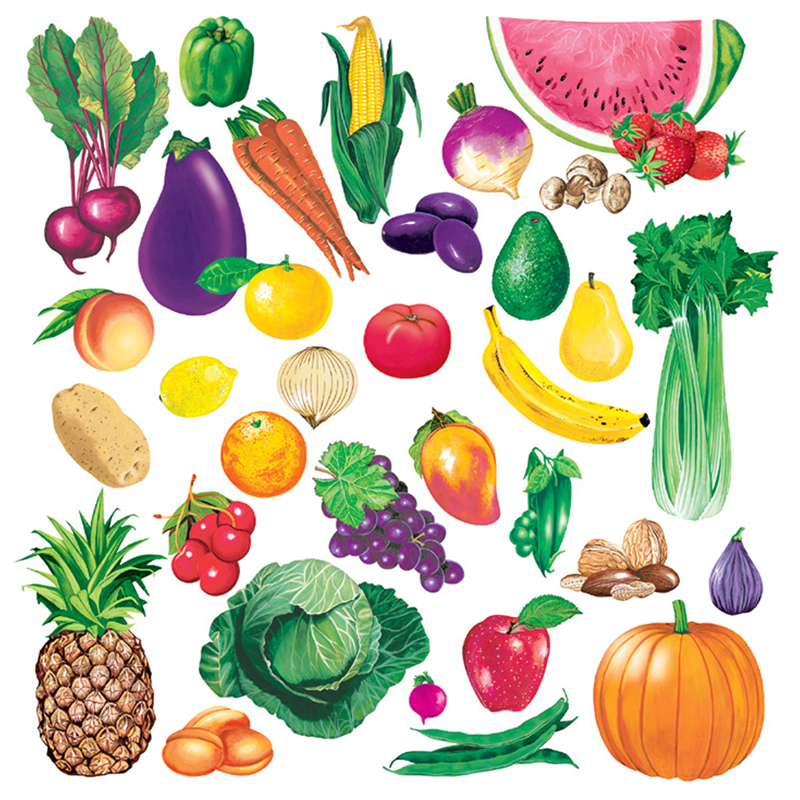 Sweet and yummy looking, our fresh harvest has ben designed as a perfect nutrition aducational tool for the home or classroom. This is a great way to learn about this essential food group.